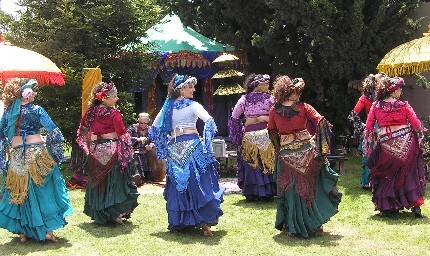 Ghania, Parvahna, Zahra, and Pazia dance to a song by Shakira. Thanks to Lee for the photo! 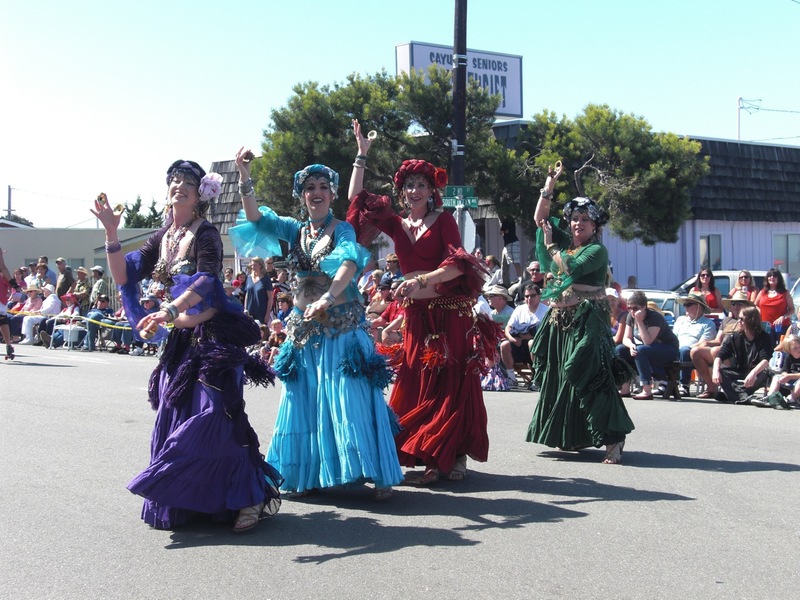 Ghania, Parvahna, Badra, and Ahlaan perform our “troupe shimmy” down Ocean St. in Cayucos. Thanks to Sunshine Frawley for sending us the photo! The troupe performs several times throughout the weekend of the Strawberry Festival. click here for some great pictures taken by a fan!